With warmer around the corner, nothing beats a glass of cool and refreshing punch. This goes down so easily. 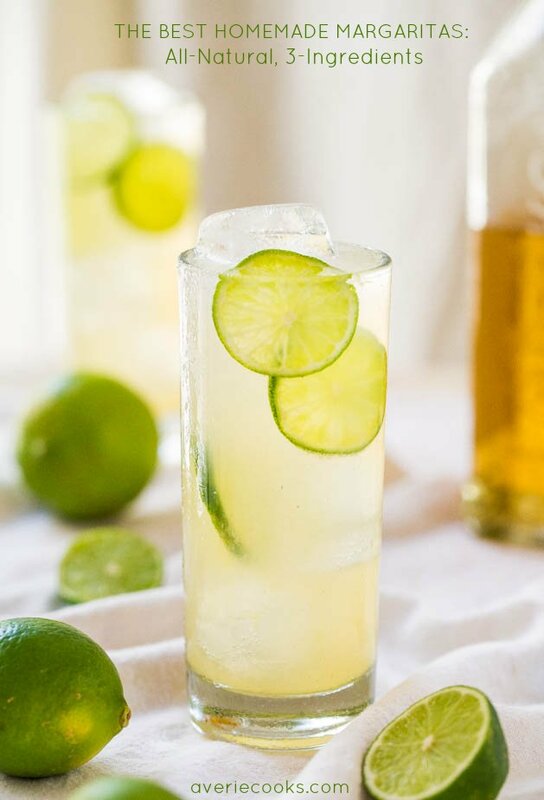 It’s sweet, citrusy, and has a tropical vibe. You can make the punch as either alcoholic or not depending on your needs. Simply omit the alcohols if you don’t want your punch to pack a punch. 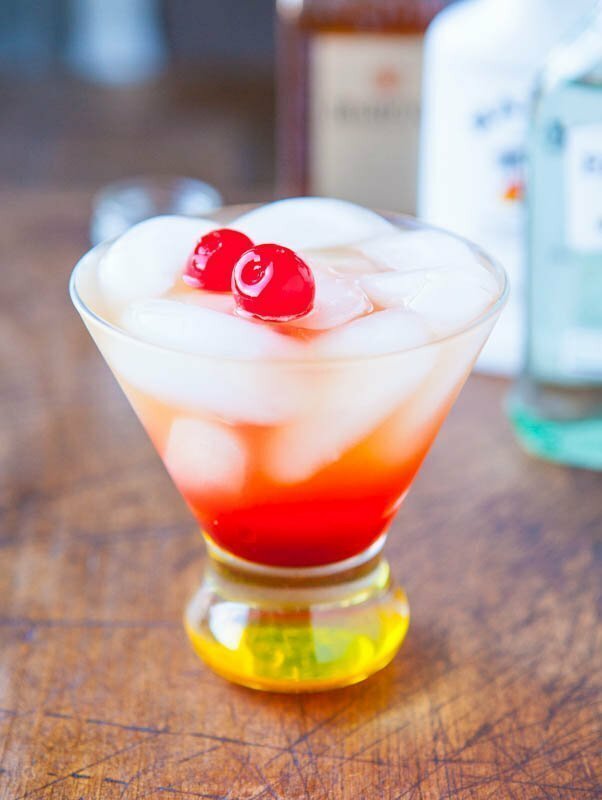 For the base of the punch I used COUNTRY TIME LEMONADE STARTER LIQUID DRINK MIX and KOOL-AID TROPICAL PUNCH LIQUID DRINK MIX combined with water. I found the ingredients at VONS. Look for the “new” tag at your local VONS or Safeway stores to find new items like these at great values. 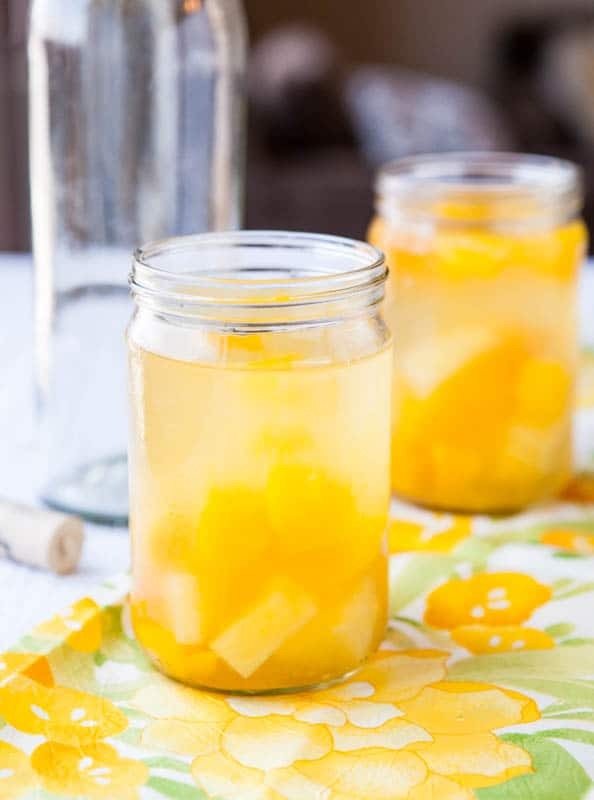 There’s pineapple and orange juices for brightness, lemon-lime soda for carbonation, and a few big handfuls of diced fruit. 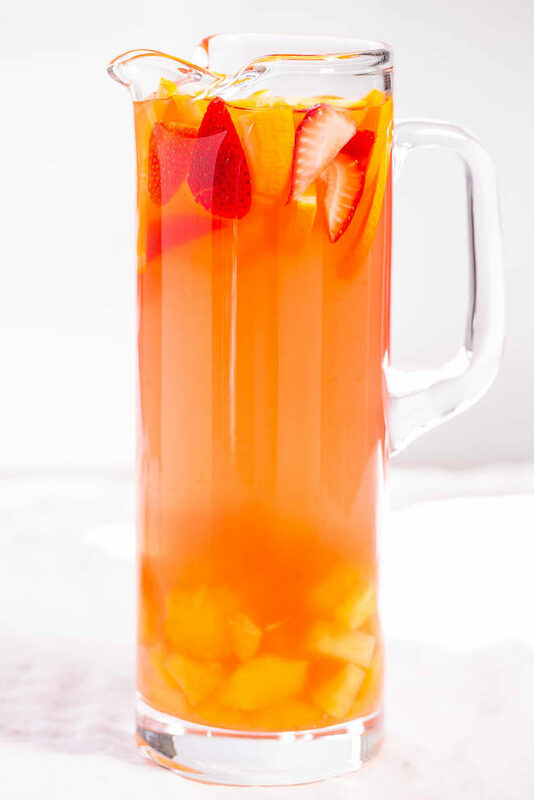 It’s like punch and sangria all in one. 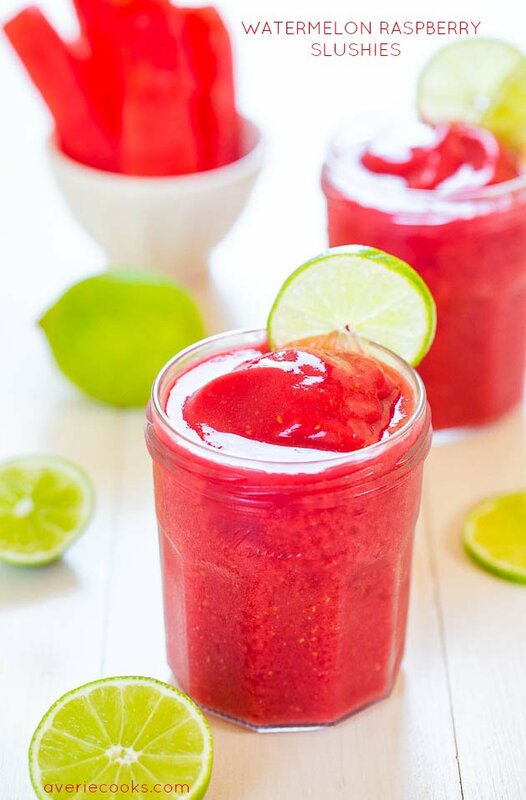 There’s lots of wiggle room in the recipe based on personal preferences and what you have on hand for the types of fruit juices and fruit selected. I used strawberries, pineapple, mango, and oranges but use your favorites. You’ll want a refill before you know it. 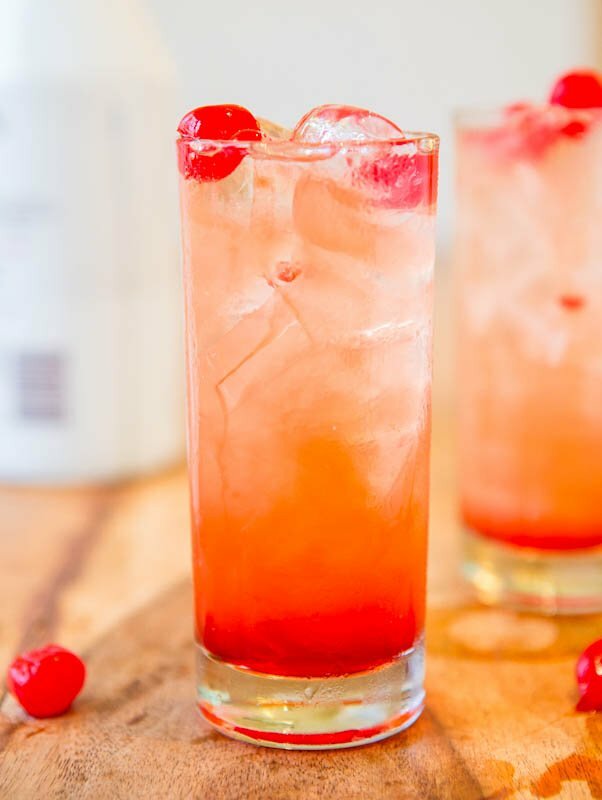 With warmer around the corner, nothing beats a glass of cool and refreshing punch. This goes down so easily. It’s sweet, citrusy, and has a tropical vibe. 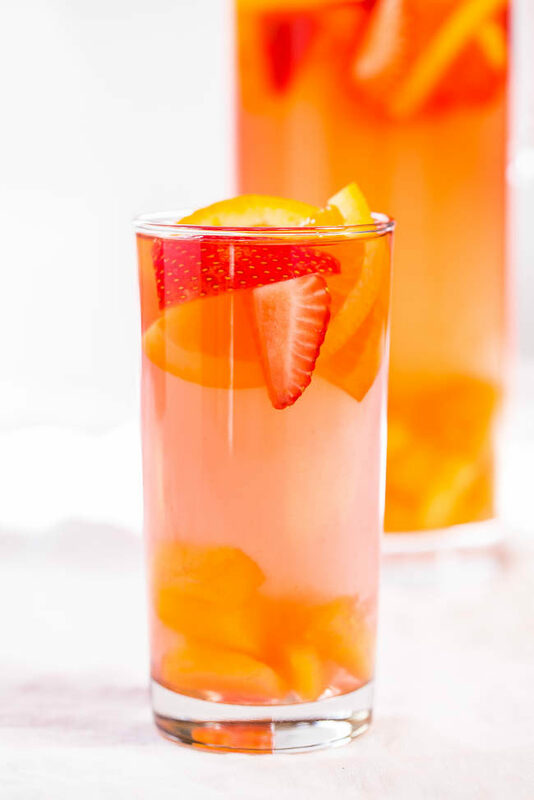 You can make the punch as either alcoholic or not depending on your needs. Simply omit the alcohols if you don’t want your punch to pack a punch. There’s pineapple and orange juices for brightness, lemon-lime soda for carbonation, and a few big handfuls of diced fruit. 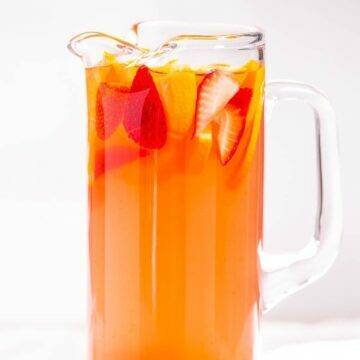 It’s like punch and sangria all in one. 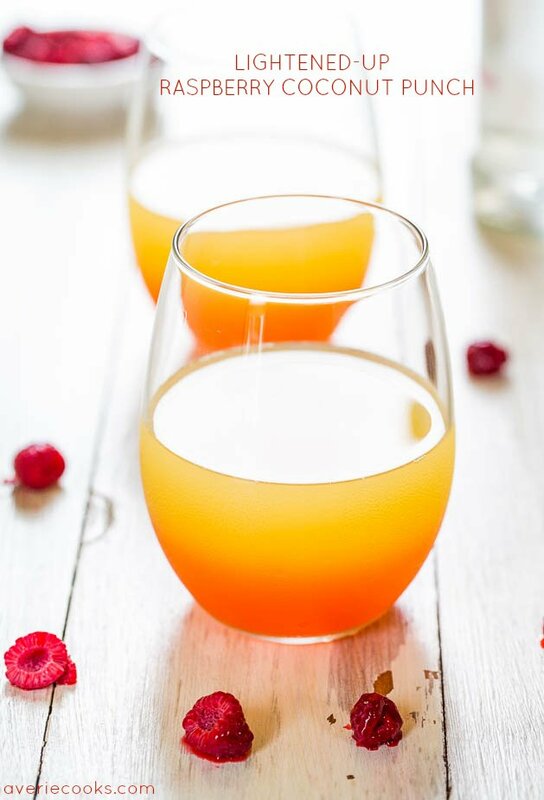 There’s lots of wiggle room in the recipe based on personal preferences and what you have on hand for the types of fruit juices and fruit selected. I used strawberries, pineapple, mango, and oranges but use your favorites. 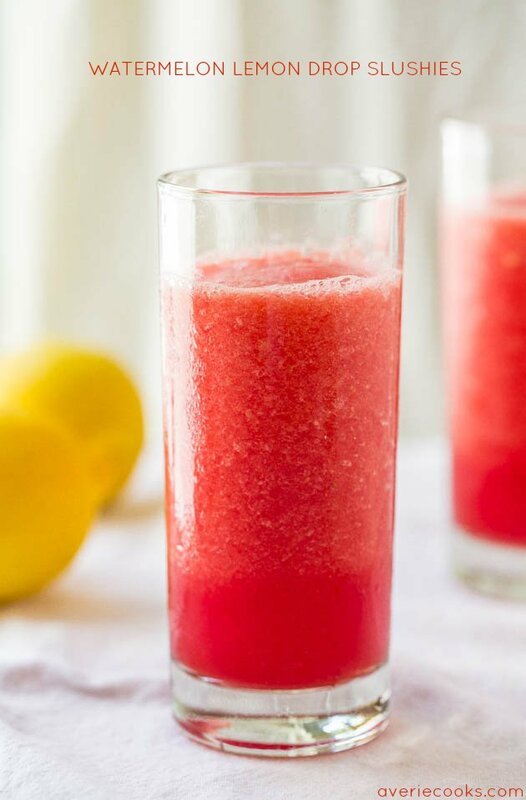 To a large pitcher or bowl, add the lemonade drink mix, 2 cups water, the tropical punch drink mix, 2 cups water, and stir to combine. 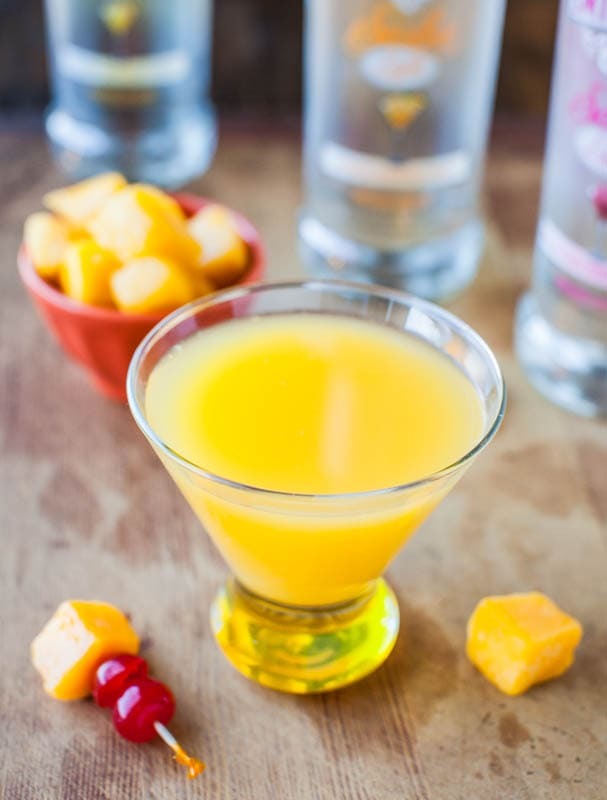 Add the lemon-lime soda, pineapple juice, orange juice, diced fruit, and stir to combine. Taste and make any flavor adjustments if necessary, to taste. If making as an alcoholic punch, add all the alcohols, stir, taste and make any flavor adjustments if necessary, to taste. 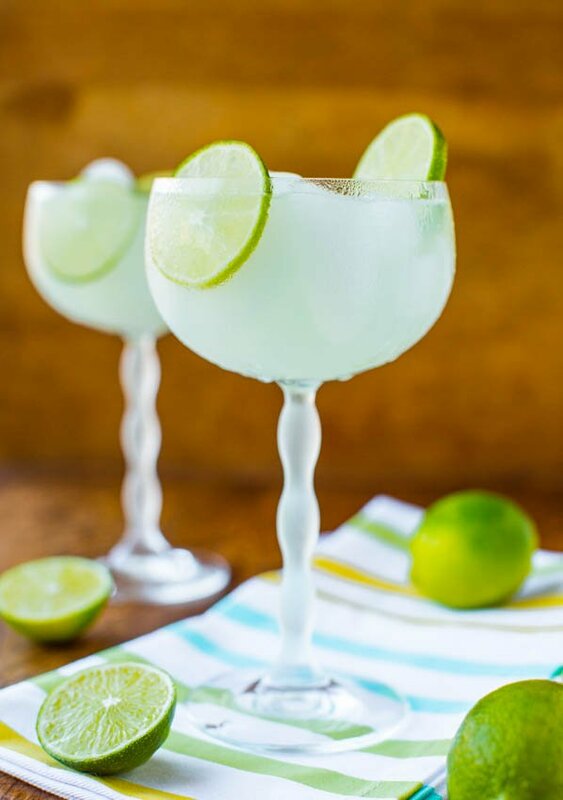 If adding alcohol, the recipe is intended for those for whom alcohol use is legal and appropriate. Always drink responsibly. Serve immediately over ice. 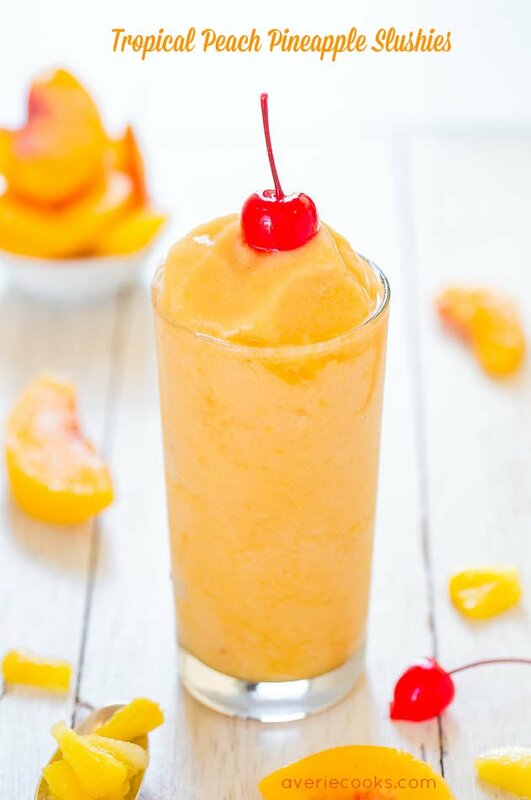 Tropical Peach Pineapple Slushies – Plenty of booze and no added sugar, a win-win! Cool, refreshing & they go down so easily! Wait a second, I’m confused… Why would I need a refill? Am I not supposed to drink the whole pitcher all by myself?? ;) This looks perfect for poolside parties and beach days! If only I had either… I’ll just have to live vicariously through you and your beautiful SoCal location! Hoping that if I make this and close my eyes, I can pretend there’s a beach in front of me! Or at least a small swimming pool. It needs to warm up here in DC! These would go down easy–sweet, fruity and a little fizz! Our association garage sale is this weekend and several of us are participating….I think we’ll need a pitcher of this at some point in the afternoon!! A pitcher or three, at least :) Garage sales are a good excuse to sit around all day and sip on refreshments! I currently have no summer parties planned. But, I personally love punch. Im foreseeing a party of one and a pitcher of this in my very near future. Like tonight. It IS friday ;) Pinned! Mmmm. This punch sounds amazing so fruity and colourful! If you make it, LMK! And enjoy!!! I need to have a reason to celebrate just so that I can make (and drink) this lemonade. Holy yum! So much flavor and fruit. I love it. Is it happy hour yet? Because I’m ready to pour a glass right now! Hooray for Friday! I am so making this for my son birthday party, but I need to find a nice pitcher first, where did you get yours from? I bought that pitcher just for this shoot. Sur La Table :) Thanks for noticing! I bought that pitcher just for this shoot. Sur La Table :) Thanks for noticing! And thanks for the compliments on my photos!! Adding this to the list for our next cookout! So bright and flavorful! Yum! This couldn’t be anymore perfect for summer! Great pictures, Averie and this drink sounds so good. Since I don’t drink alcohol, I would leave it out and enjoy it that way. Yum. This is officially one of the most refreshing looking drinks I think I’ve ever laid eyes on. I LOVE it. So tropical! Thanks for pinning and yes, great minds! I need a pretty and tropical drink these days! The weather has been awful and the crazy busy days are stressing me out! This is gorgeous! Pinned!